We have been informed that Roland Dyens died today. An international virtuoso, he was also widely known as a composer and teacher. Rest in Peace Roland Dyens. The classical guitar world will not be the same without you! Really sad. One of the few guitar composers I listen to just for my own pleasure. What a beautiful musician, teacher and composer. He was inspirational to me and my children. What a privilege to have had him teach my son and to have my children play music with him at the pool side of the hotel at the Stetson Guitar Festival. I regret not having seen him in some years and have often imagined myself living in Paris just to see him play more regularly. My condolences to his family and friends. When he walked on stage, he was so loved by the audience. His music playing and composing captured the beauty of life itself. I love him. I will miss him and his music. Being at a concert of Roland was sensational, he was a true musician who performed from the heart without being afraid. His playing had originality, devotion, structure, precision, warmth and love just like he was himself. This is so hard to hear. He was an inspiration and example of how great we can be when we just be ourselves. If only we could all be so courageous and creative. I met and played for Roland in June 2015 in Portland Oregon. It was the most memorable meeting of my life! Now it’s as though I’ve lost a brother. For me personally, I have so many wonderful memories of my friendship with Roland. None could be more memorable than what took place on my birthday in mid-December of 2005. It was a mere six weeks after my first lung transplant and my cell phone rang. It was not a number calling that I recognized. Instead of my “hello” being greeted by a voice, what I heard was a brilliant improvisation on guitar of Happy Birthday. I knew immediately that it was Roland. It is unfathomable that my dear friend, Roland, is not still walking among us. But, he will surely live on by having elevated the lives of all of us who knew him and who were touched by his beautiful musical artistry. 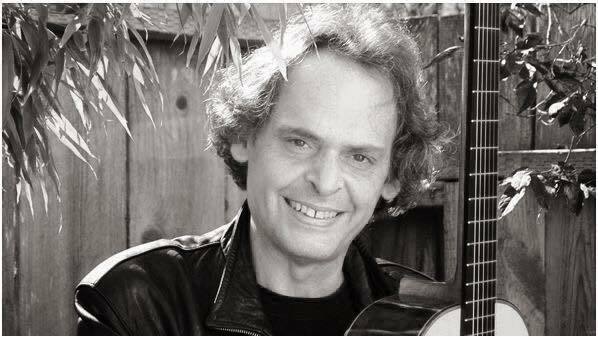 What a special person, a special friend, and a one-of-a-kind artist and guitarist Roland was. God bless, Roland, and your family, too. Rest in Peace our brother Roland.We are so much sad with the bad news.Today we are most poor. 2 years ago I met him last time i Rust, Austria. He told me, that he was very sick, I could’t believe it! He played Chopin dedicated to me, the best friend from Tychy, dana. I was schocked! 20 years of our friendship, so many memories. I listen to his cds and he stays in my heart! I pray for him too and I know- one day i will meet him again!